ha…my wife said that while we were sitting in the parking lot near the gym with a flat tire. It looked like she ran over the Golden Spike! Sometimes you got to roll with it. All this change may be coming to put you where you need to be–whether you realize it or not. I call it a Cosmic Course Correction. Getting kicked out of the Air Force put me on the path to be a Chiropractor. I’ve known folks who say that losing their job, getting divorced– even having cancer–was the best thing that ever happened to them. Sometimes it’s easier to see it/say it 5 or 10 years later. The trick is to bring that perspective into ~this~ moment. 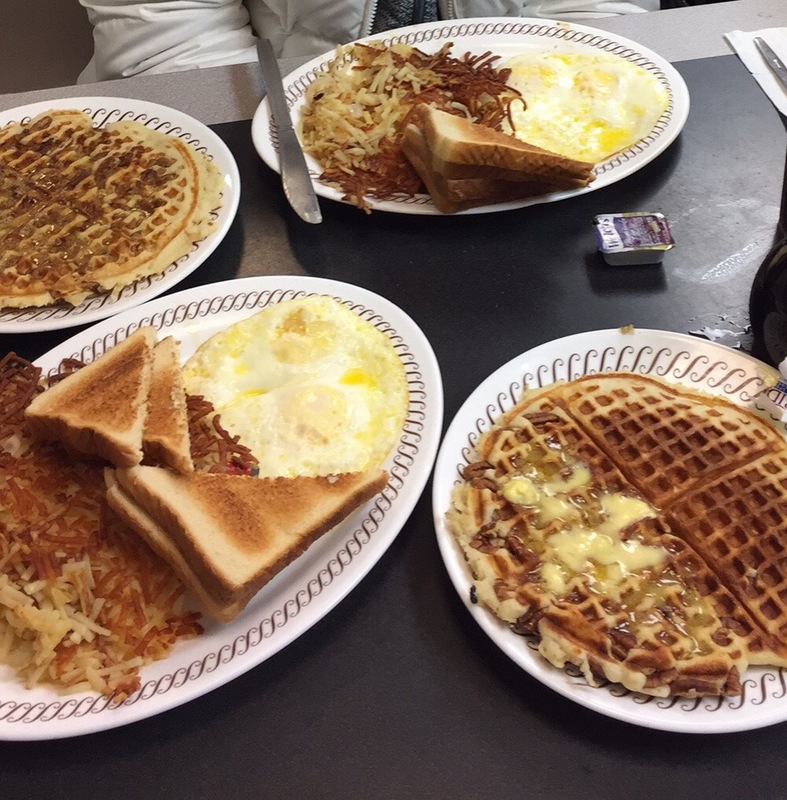 You do know it is possible to eat at Waffle House in such a way as to not induce tummy stress? As opposed to the outlay we all saw on the FB picture :-) But yeah, roll with it, baby.